Spring is so close that I couldn’t wait to start working on my yard. 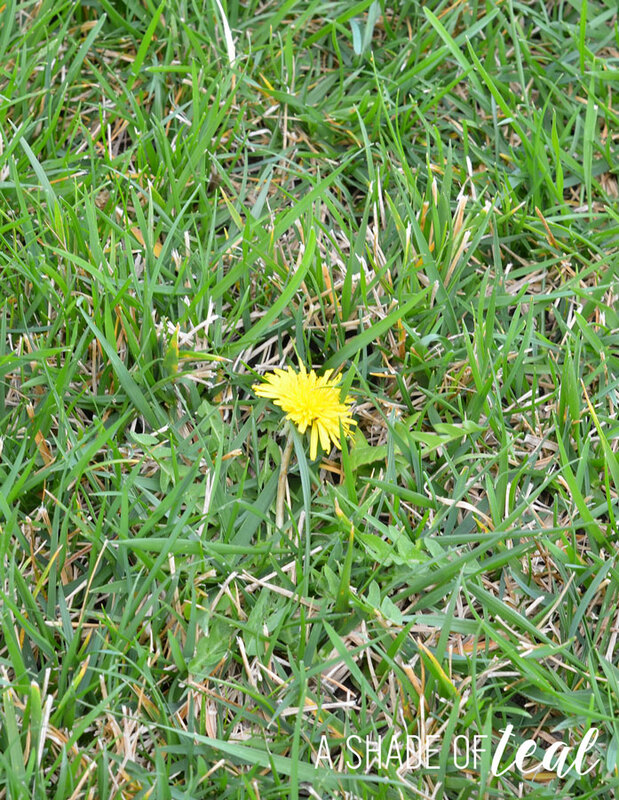 Most recently I’ve noticed our front & back lawns have a bunch of weeds and dandelions growing in them. 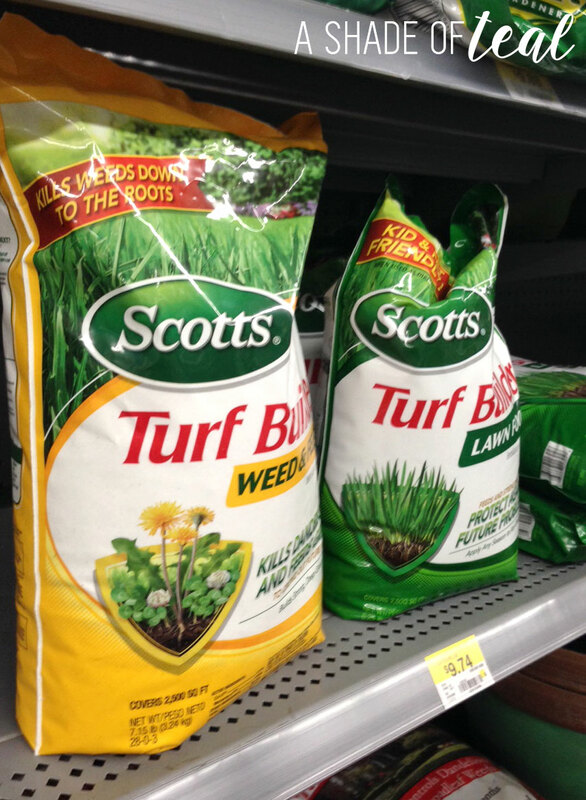 So on my latest trip to Walmart I picked up a bag of Scotts® Turf Builder® Weed & Feed. This is specifically meant to help rid your lawn of the weeds and dandelions while thickening your grass to crowd out the ones you don’t notice. I knew I had to give this a try since as you can see our lawn has been taken over by them. So I got out my spreader and gardening gloves and added the Weed & Feed to my entire lawn. I barely used the bag since it will cover up to 5,000 square ft. Since results take some time this got me inspired to spruce up some more areas of my yard. In our front yard on the side of the house we have our sprinkler system on display. This has been a sore eyesight since the day we bought our home. This whole area drives me nuts! How ugly is this for all our neighbors to see. 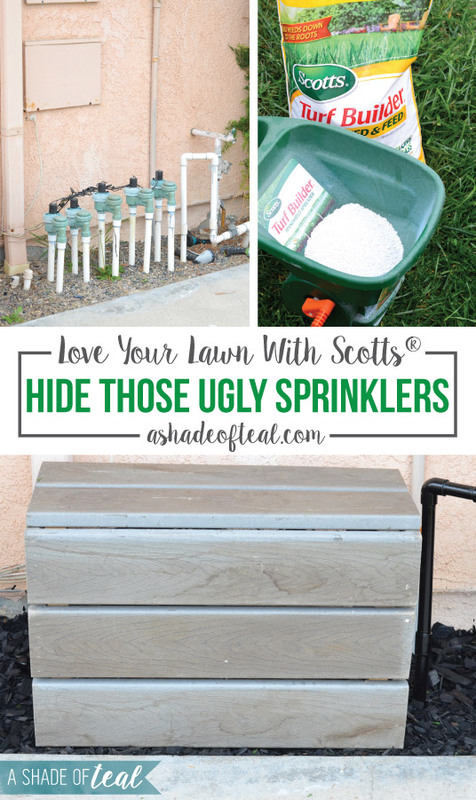 I knew I wanted to build a box to at least cover the sprinkler system. 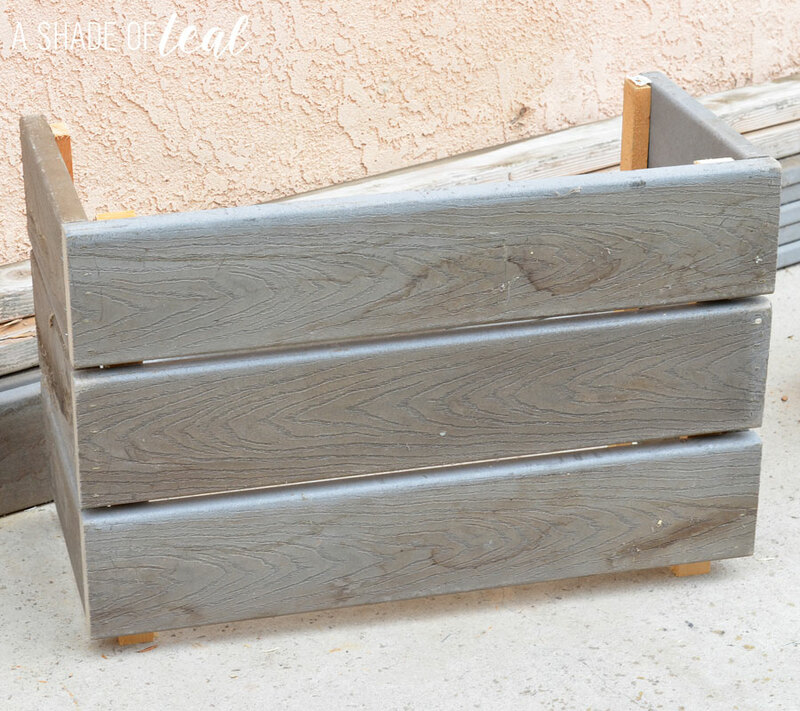 Also, the planter is so small that adding plants isn’t a option, so adding mulch would have to be sufficient. So I decided to finally build the sprinkler box. 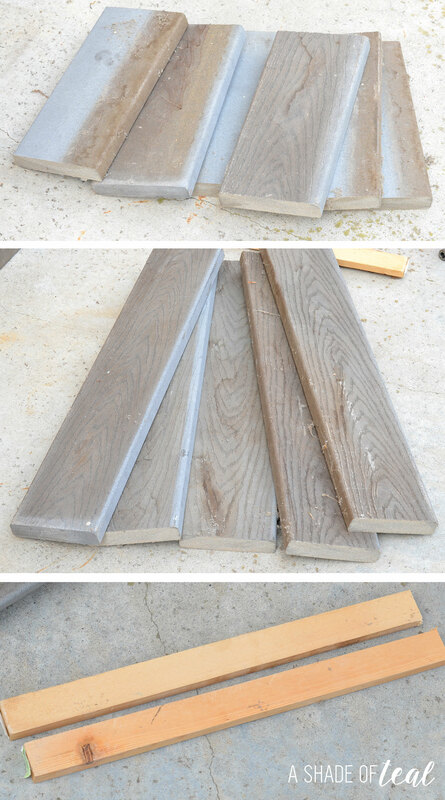 Luckily, we had a bunch of old decking material. I figured this would be perfect since its weather treated. Its a little dis-colored in the picture below, but after a good washing the dis-coloring was gone. Each piece was 5 1/2″ wide and I made the following cuts: (6) 15″ pieces, (5) 25″ pieces, and then (4) scrap wood pieces at 28″ long. 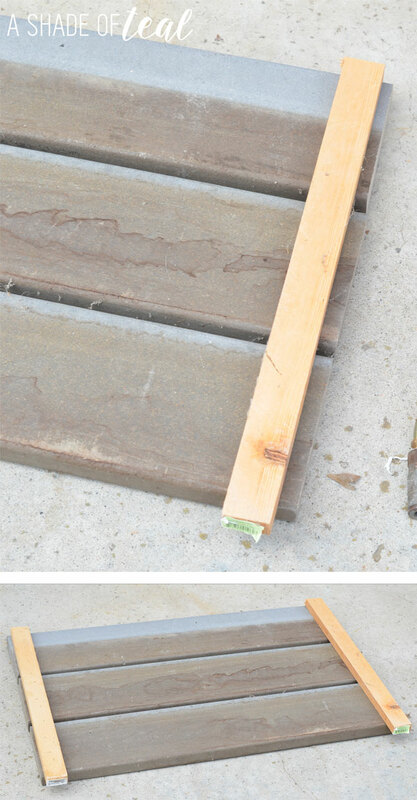 I laid (3) of the 25″ pieces down and attached a piece of the scrap wood at each side. 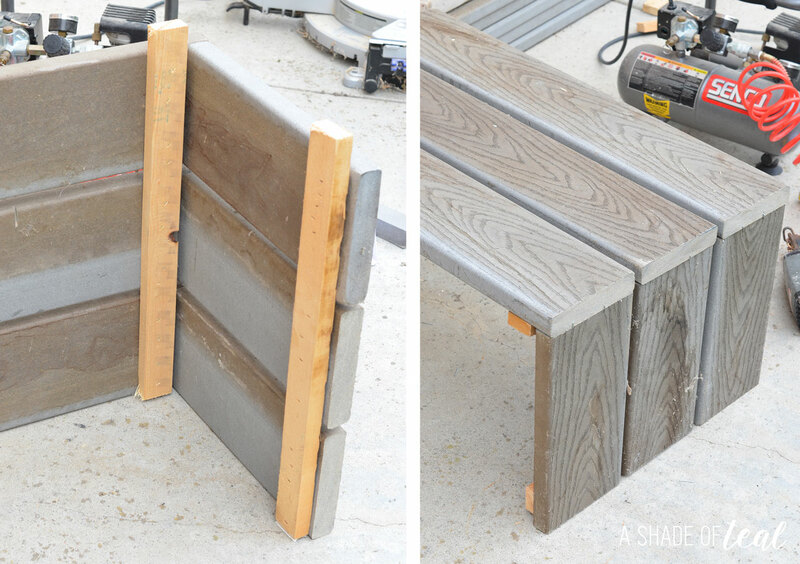 I used a nail gun with 1 1/2″ nails. 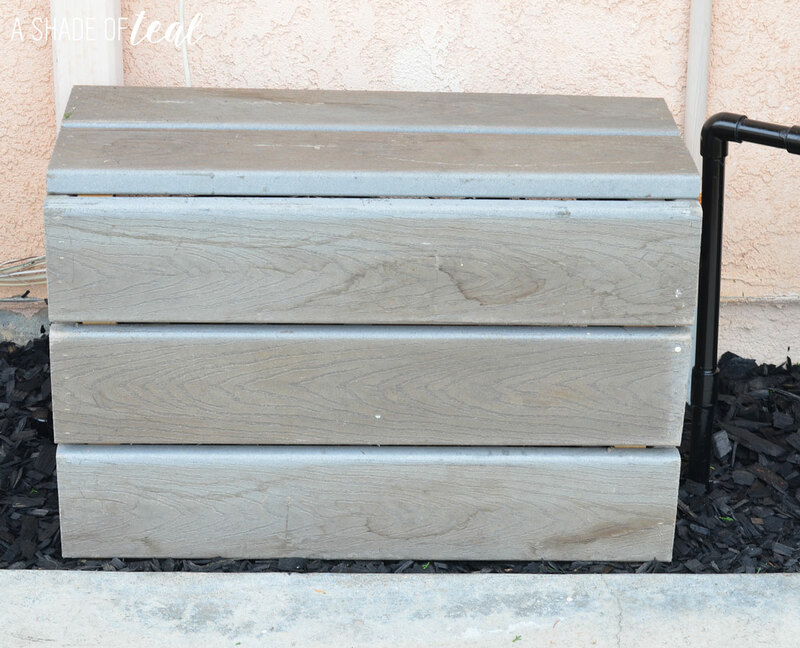 I then made the sides of the box with (3) of the 15″ pieces and attached a scrap wood piece to 1 side. Then attach the front to the side like below. Once you get 1 side attached the 2nd side is pretty easy. Finally, I added (2) 25″ pieces to the top. I also had to clean up the side yard. The previous owners had a bunch of gravel which I removed as much as possible. I also dug a small trench for the box to sit in. Next, I placed the box in to its final place. 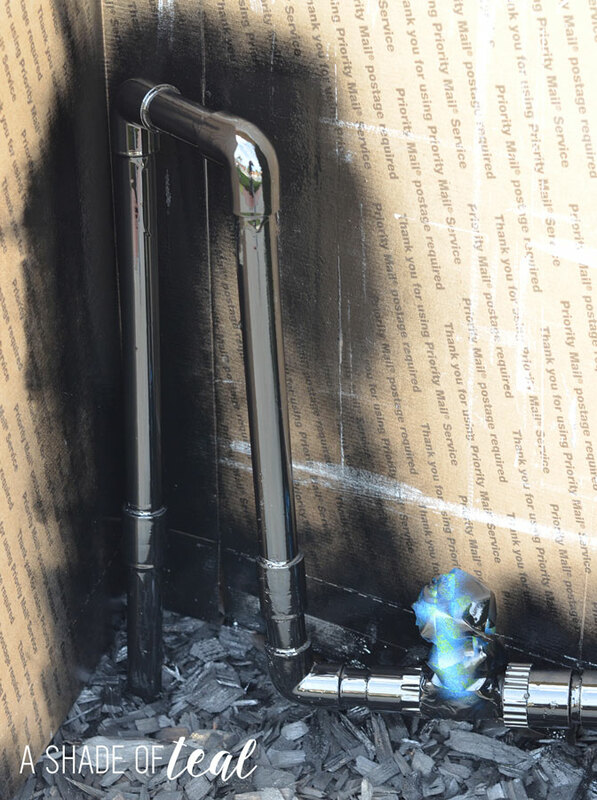 Of course the water pipes now stood out, so I spray painted them black. The rest of the pipes I left alone for now. When we finally get to re-painting our house this will all be updated. Finally, I added some black mulch and that’s it! It definitely helps with hiding the sprinkler system. 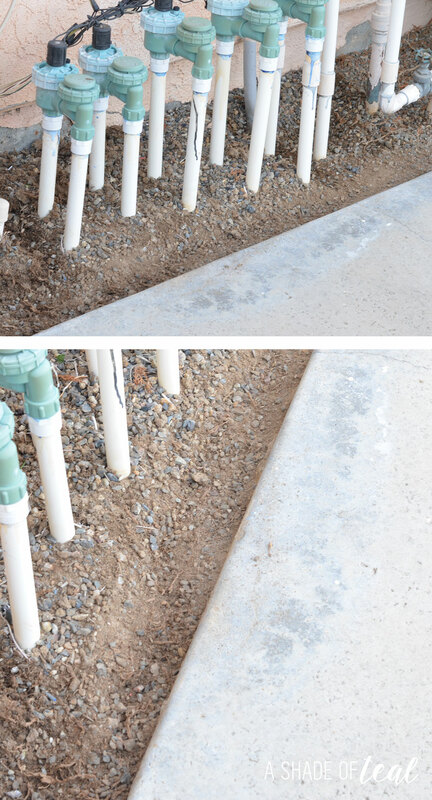 Plus, its removable if we need to get to the sprinklers. Have you started getting your yard ready for Spring? Updating my lawn with Scotts® Turf Builder® Weed & Feed had definitely given me the bug to update more areas of our yard. Don’t forget to enter the sweepstakes for the chance to win Walmart gift cards and Scotts® Spreaders! 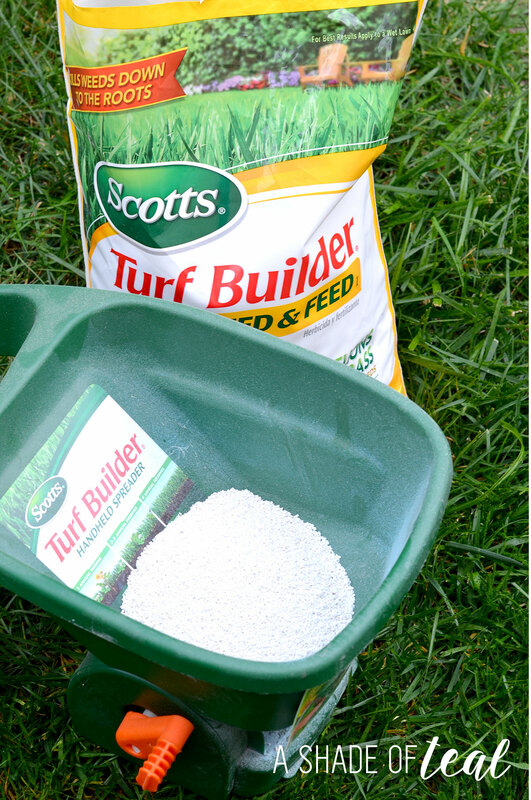 Looking for specific information for how Scotts® Turf Builder® Weed & Feed can help solve your lawn problems? Click here to sign up for the Scotts’ email reminder service to receive specific tips and information for your area! What a beautiful improvement! 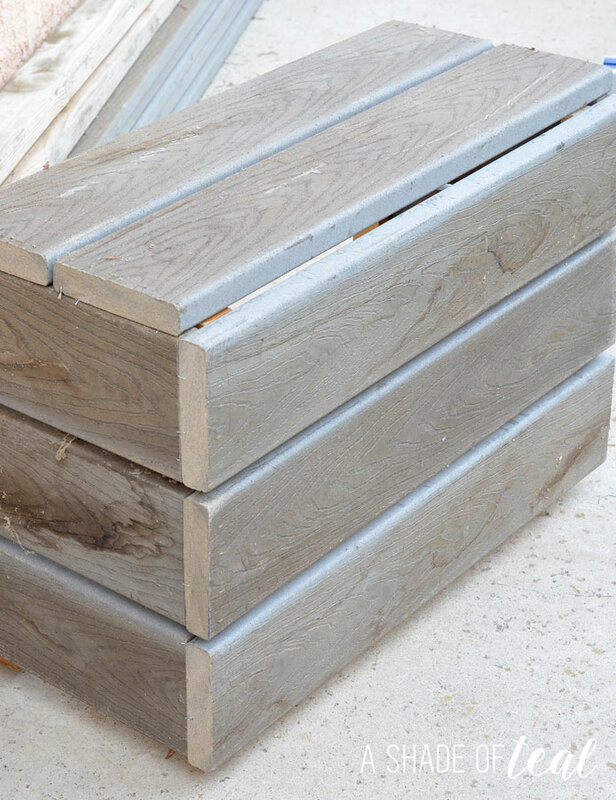 The grey color of the wood is very nice too. I am scared to look at our yard and see the weeds, lol. 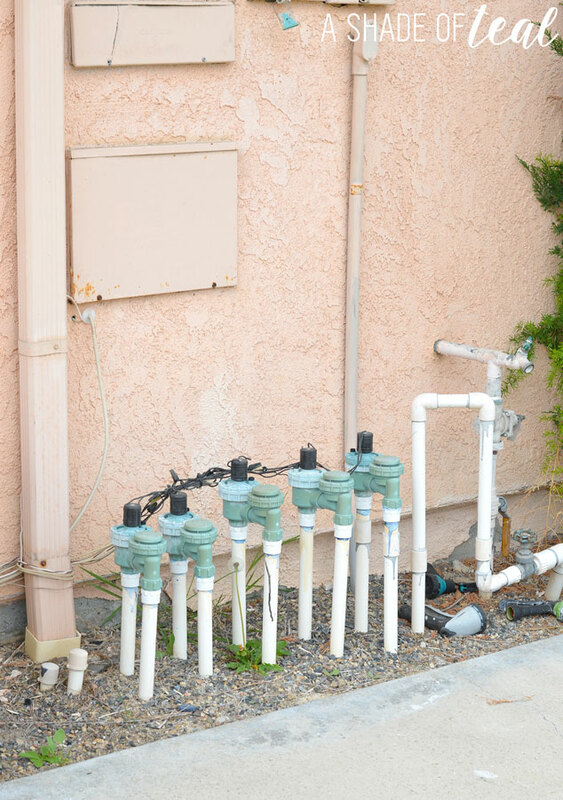 I love how you hid the sprinklers! 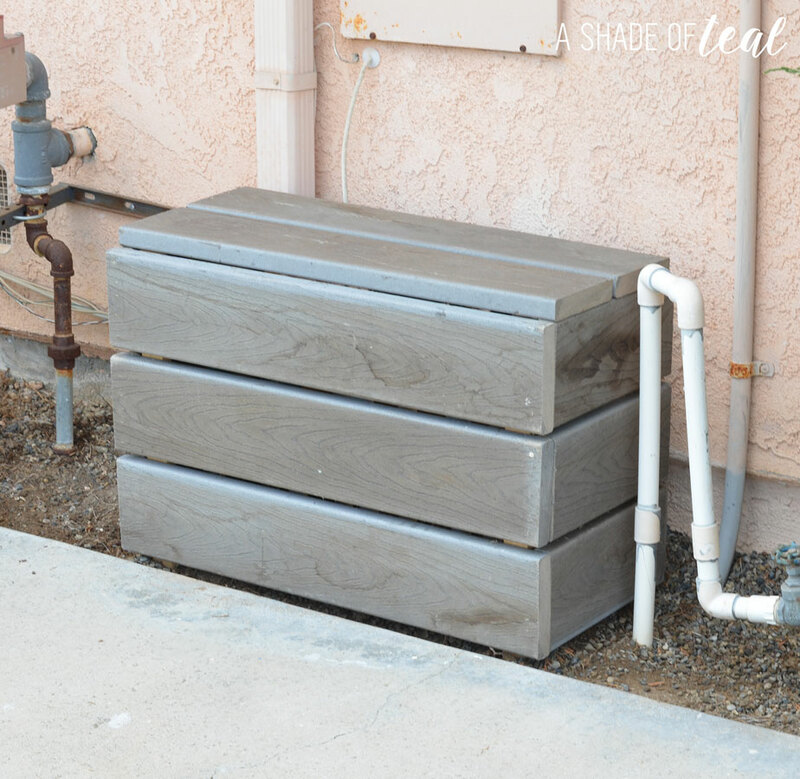 I hate how all that stuff looks on the side of the house and want to do something to hide it! I love your idea! It looks great! Thanks Ruthie! I know, I wish they installed the sprinklers somewhere else! AHHH! So smart. I love the finished look. Now I’m itching to put some more lawn seed on our front yard too… thanks for the inspiration!